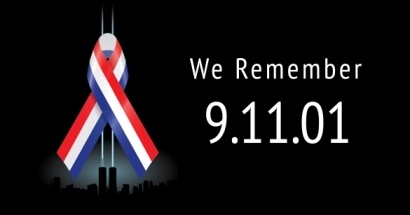 The Foundation for Pluralism and the World Muslim Congress have announced the 5th annual Unity Day USA, a 9/11 Memorial event to be held on Sunday, September 6, 2009 in Dallas, Texas. On this 5th Annual Unity Day USA, we, the people of the United States of America of every faith, race, ethnicity, culture and background will gather to express our desire to co-exist in peace, and pray for the unity and wellbeing of humanity. Over the years, Americans of North Texas have demonstrated remarkable unity, coming together as denominations, as well as with other theists and atheists. Every faith (or no faith) and denomination is expected to be represented in the event. Our 2009 theme continues to be "One Nation under God". Our religious leaders will seek guidance and wisdom from their respective faiths and our Civil servants and community leaders will echo the same sentiment and suggest ways in which we as individuals can work toward creating and sustaining cohesive and thriving local communities. Mike Ghouse, President of the organizations announced. “This is an annual event for all Americans to come together and look to each other as American and nothing but American. We will rededicate our pledge to the safety and security of our nation”. The American Muslims have taken the initiative to remember one of the greatest tragedies in the history of our nation by bringing about a positive change to the 9/11 event. We are committed to make this day, the Sunday before 9/11, a day of Unity of Americans to pledge to the peace, unity and prosperity of our nation and the humanity. As Americans we uphold, protect, defend and celebrate the values enshrined in our constitution. All our faiths reinforce the creed of "One Nation under God, with liberty and justice for all." As Muslims we take this duty seriously, it is our nation and our home. If you wish to volunteer and or sponsor in multiples of $100, $500.00 as a Gold Sponsor or be the exclusive Grand Sponsor for $3000.00, please do so. A. Invite organizations to participate - No money is required but at least one person representing the organization must be present. Information will be included in all the publicity material. D. Be a Volunteer to do different Chores - Meeting at my home at 1636 Coyote Ridge, Carrollton - 3:00 PM to 5:00 PM - You are welcome to bring a snack dish to the meeting, please call me in advance. F. If you, your friends or people who you know wish to sponsor the event. The budget for the event is set at $3,000.00 and we can take any amount in the multiples of $100.00 and each one will be listed in the booklet and on the websites with pictures and videos. If your organization wishes to sponsor, volunteer, or simply want to list as a supporter of the event, we welcome you to share the information in the following manner: ( about 90 organizations have participated in the past and we hope to sign them up again this year.